There is nothing like eating a strawberry fresh off the plant. 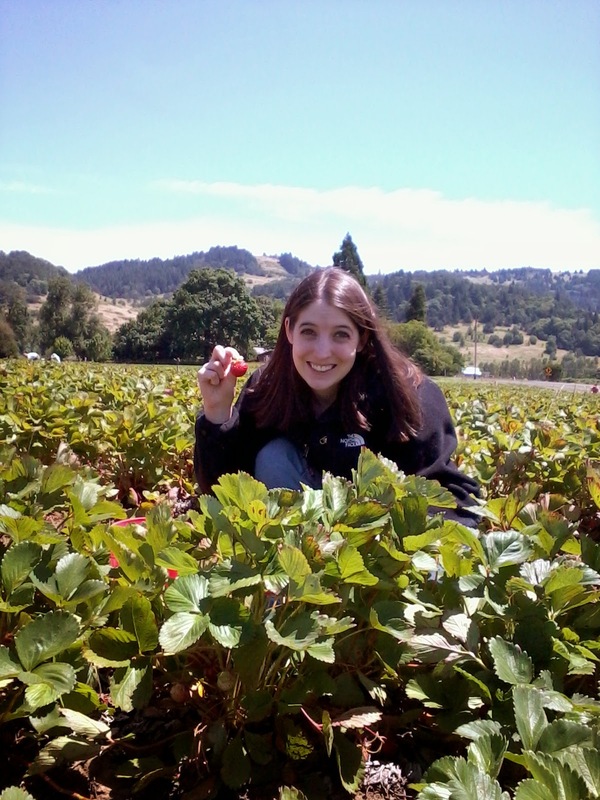 As a child I recall going to the strawberry patch down the road and picking berries with my family. I can't recall if I particularly enjoyed picking the berries but I sure enjoyed eating them. One of the great things about being back in the Pacific Northwest is the abundance of fresh fruits and vegetables-- things grow like crazy here! I think Andy's face says it all in regards to how awesome fresh berries are. 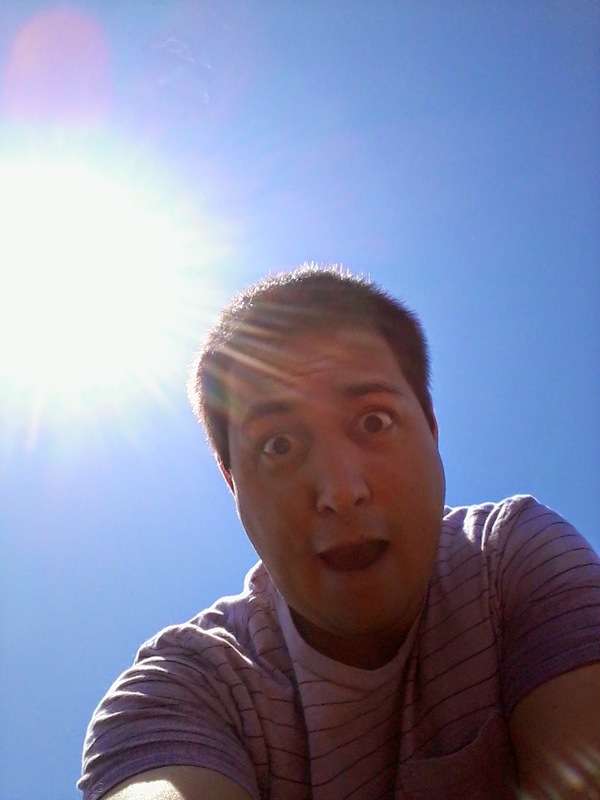 We decided to go to a you-pick strawberry farm on June 21st. Our timing couldn't have been better it was the last day they were open for the season. They had these cute red bucket and is was $5.00 to fill the bucket. Each bucket weighed just over 7 pounds. Since it was the last day they were open the berries were a little picked over and we really had to look to find the bigger berries. The variety of berries we picked were shuksan strawberries, they tend to be smaller berries but they are full of flavor. 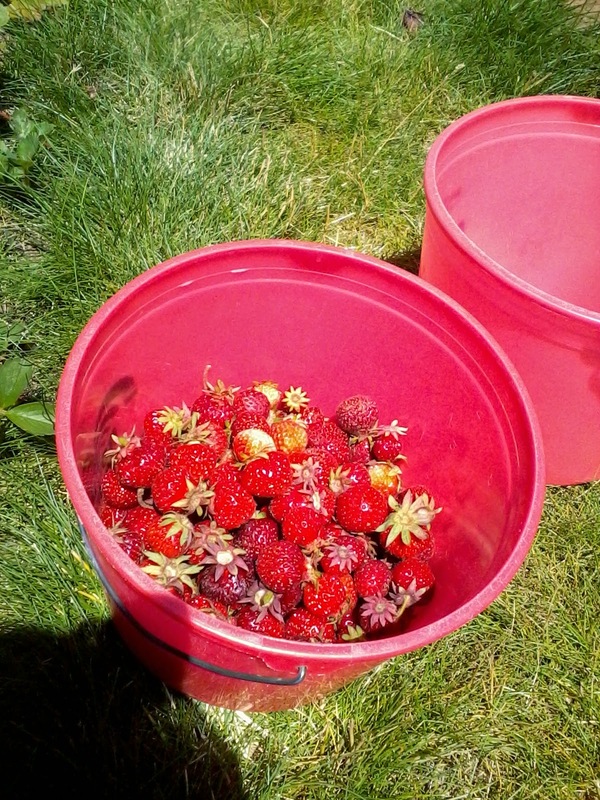 We managed to fill 3 buckets full of berries. When we got home we weighed them and they weighed about 24 pounds. What do two people do with 24 pounds of fresh strawberries? We made fruit leather and we dehydrated some strawberries, and we froze the rest. Somehow Andy has managed to eat ALL of the strawberries-- at least he ate healthy snacks. He really liked the frozen berries, I think they were his favorite. I guess next year we need to pick a lot more than 24 pounds of berries.